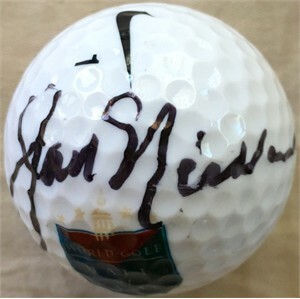 World Golf Hall of Fame logo officially licensed Nike golf ball autographed in black marker by Jack Nicklaus, perhaps the greatest golfer ever. Obtained in person, with certificate of authenticity from AutographsForSale.com. ONLY 2 AVAILABLE FOR SALE.